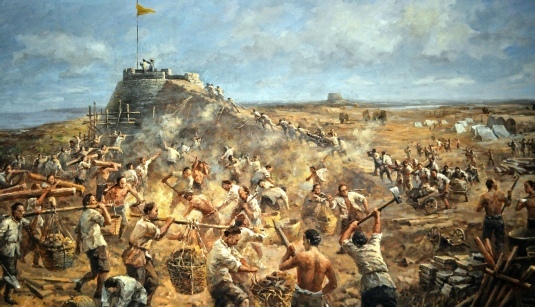 The Taku Forts was a battle during the second opium war with China. The opium war was over forced trade treaties that the British and French insisted on, as the British wanted to continue the opium trade. The Taku Forts were at a strategic point near the city of Tientsin, where the treaties were signed. 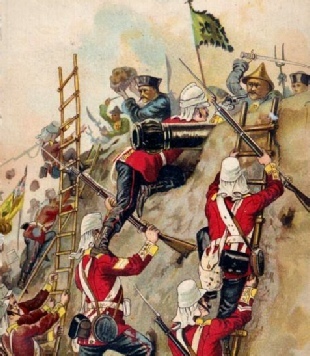 The taking of the forts was a success and it helped to force the Chinese government to accept the trading treaties.